How to set maxUploadSize for each file in case of multiple file uploads? are there advantages of using Spring Security authenticaiton over doing it with Struts filter? javax.servlet.jsp.JspTagException: Don't know how to iterate over supplied "items" error? 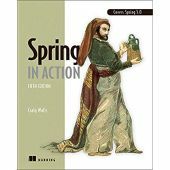 Why spring catches checked exceptions and throws as runtime exception unlike normally in java? How to modify request object(want to replace a parameter value) using interceptor? Do I need to use Spring MVC in this case? A form with a filter search in jsp using spring?